The G-Series drivers have been a staple of what forgiveness and playability can be for PING historically. With the release of the G30 SF-Tec driver they are both attempting to build on those things as well as step outside the box with the use of Turbulators and the SF-Tec itself. 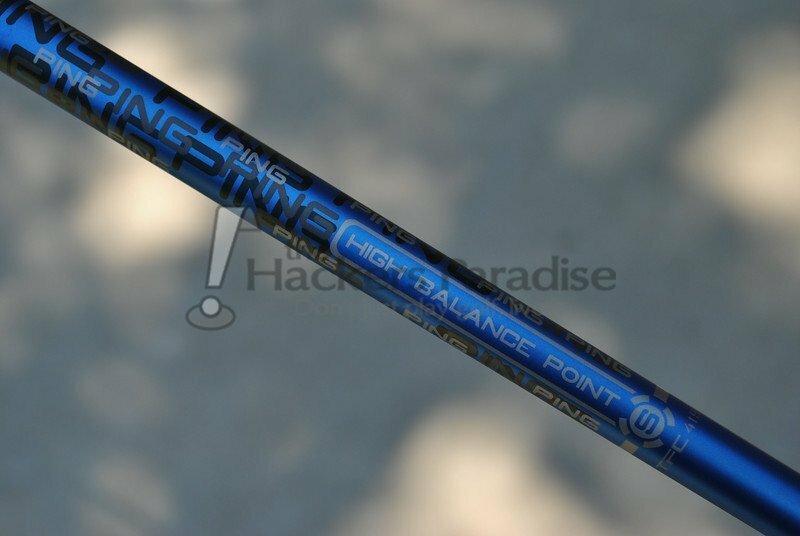 For this review PING sent in the 10-degree G30 SF-Tec driver paired with the stock TFC 419D shaft setup at the stock playing length. The first thing that you notice about the G30 aesthetically is the matte black finish that has continued on from its predecessor. Not only does it prevent all possible glare situations, but it also makes the heads seem less sizeable than the G-series once did. Considering how elongated the head is from face to back with its shape, the sleek look from the matte finish is a very good thing that should make it more attractive to many. 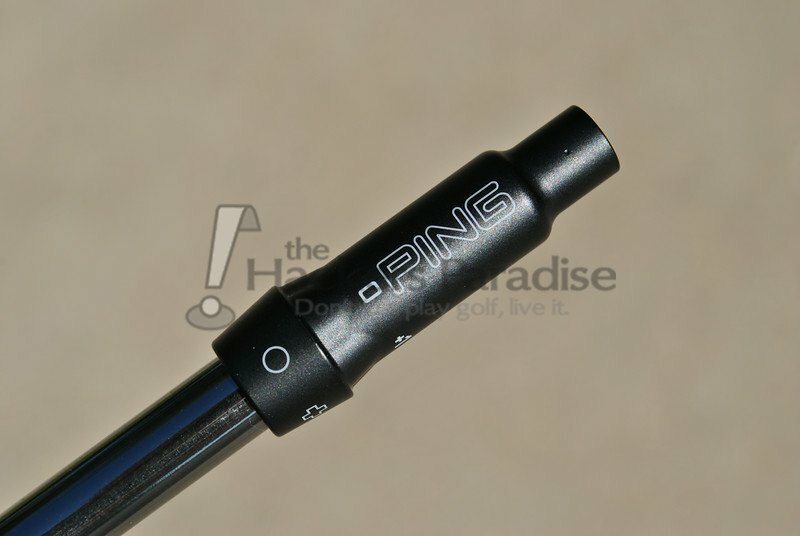 It’s good to see PING continue using it as they have the best matte finish out there in this reviewer’s opinion. Additionally, PING has changed up the color scheme with the G-series by utilizing blue rather than the deep red we have been accustomed to. This is a nice way for them to differentiate the lines aesthetically speaking and it was definitely done tastefully without being in your face. Just a touch of blue on the sole and with the standard TFC 419 shaft. Overall it is one of the best looking releases we have seen from a PING driver in some time, turbulators and all. 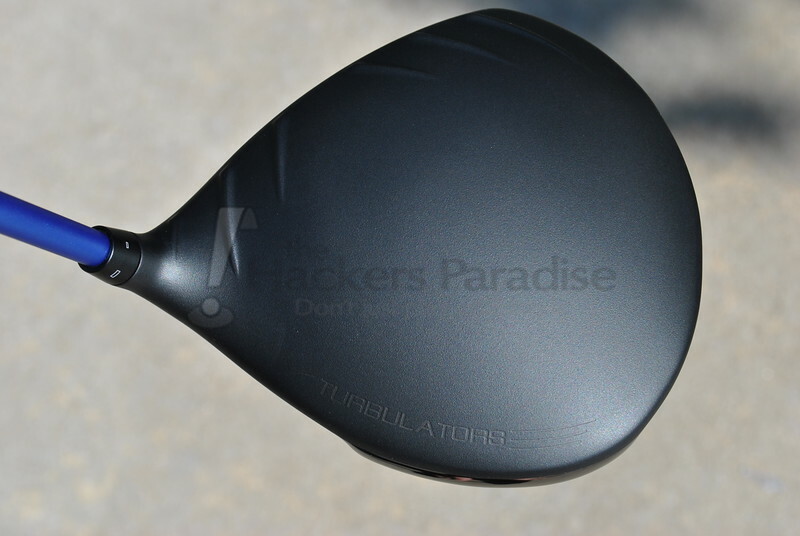 There is no doubt that this has been the most talked about aspect of the G30 drivers on the internet. The turbulators are not only incredibly different, but also something few would ever expect to see from PING. However, if there is one trend we have seen from them recently it’s that they have become willing to be outwardly different and innovative rather than keeping that relegated to the internal design aspects. It is a look that will be polarizing and you will either like them or not, but the fact is they really don’t draw much attention after a few swings for most. During testing they did show an ability to contribute to alignment thanks to the multiple angles that they produce in relation to the golf ball at setup. Yes, it looks different, but different doesn’t always have to immediately be considered bad. As far as in increase in clubhead and ball speed, the recorded information did indicate an increase from what was seen with the G20 and G25 comparatively during testing. According to PING their testing indicated up to a 2 MPH clubhead speed and 4 MPH ball speed increase with the G30 and Turbulator setup. While that large of a jump was not seen for this reviewer, it is obviously going to vary user to user and swing to swing. Though it may not be a massive jump, they claim an increase and in this case it was seen. The idea here being that PING understands by keeping the CG back they allow more forgiveness thanks to increased launch and MOI that can be achieved with that design trait. Interestingly, even though this is lower and further back than PING has gone before with a driver, they managed to move enough weight to keep the spin of the head in a range that will be extremely playable to many. No, it is not an ultra-low spinning setup, but it also is not in that mid-range. Testing indicated that it nestled itself right in the middle. Additionally, in its stock setup the ball launched extremely well considering the spin rates, showing that there is indeed something to the balance that PING has found/struck with the G30. 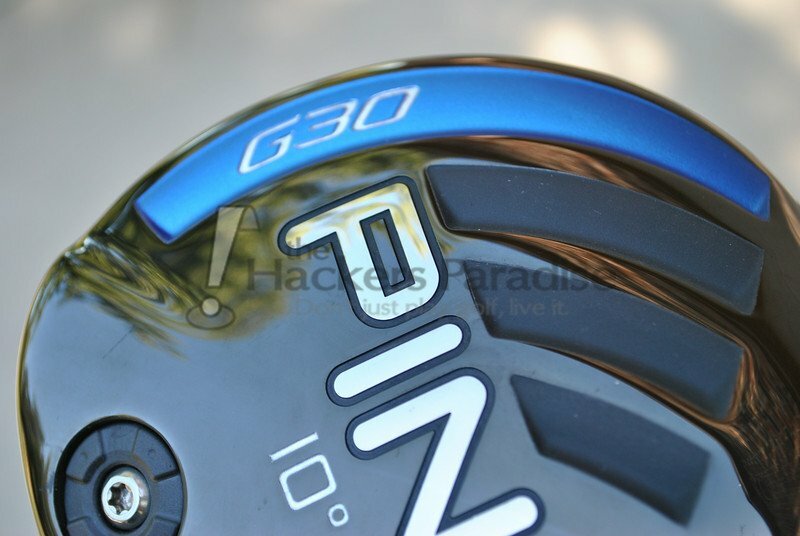 As mentioned, with the turbulators there was a ball speed jump seen in the G30 design from its predecessors, which combined with the launch and spin numbers seen gave and extremely solid overall distance output on center strikes. With that said, ball speeds did vary across the face in terms of retention. The best numbers on misses were seen heel side in the driver with strikes on the toe also dipping into what is considered acceptable. However, it has been noted that high on the face does pose a loss that for some may be considered above average compared to some of the other offerings in the same class. The sound at impact remains very reminiscent of the previous G-series drivers and will never be accused of being quiet. The tone is solid yet with a metallic sound. There is enough variation in the sound on shots across the face to give proper feedback to where the miss occurred. The nicest thing about the SF-Tec is that it serves as a driver that can aid those who battle the rights while looking aesthetically identical to the standard G30 (with the exception of the weight port in the sole moving more towards the heel side). A draw biased driver can be of great benefit to a lot of amateurs out there, but most are turned away by the “draw” branding on the head or the offset look, so the SF-Tec is a great answer. Performance wise, the evidence during testing left no doubt that the movement of the sole weight towards the heel indeed impacted the ball flight off of the face. Moving weight inside of the head like this essentially helps tilt the spin axis of the ball through the gear effect and helps take some of the right (for RH users) out of play. It should be made clear however that it will not fix a swing flaw. Slices due to OTT swings will still slice, though likely not as much. Additionally, the weighting did not lead to this becoming a “hook prone” setup like some may be fearful of. It does its claimed job in a very effective and controlled manner. As far as looks and weight are concerned, PING’s adapter has always been among the best on the market, but it has always lacked in overall adjustability (originally only ½ degree either way) compared to others. This version of the adapter being used in the G30 line allows for two more options making for a full degree or 0.6 degrees either way. Though it will be strange for some to wrap their heads around potentially using a 10.6 or 9.4 degree setup, recorded testing did show the adjustments to alter the ball flight as they are supposed to. Still not as many options as others, but with PING’s traditional focus on being fit, the options should serve as adequate enough to achieve that. The counter-weighting effect of the TFC is an interesting one, and a trend that is becoming more widespread given the weights of some of the driver heads out there. In hand, despite the fact that the shaft serves to keep the CG further up the shaft, the G30 SF-Tec still has a head heavy sensation to it (even with its lighter swing weight). Additionally, this stock setup is one of the longer ones out there in overall club length. At 45.75” it almost seems counterintuitive to the purpose of the SF-Tec design itself (reduction of left to right ball flight). This will be a personal preference issue for sure, but it is worth mentioning. In terms of performance, combined with the 10-degree SF-Tec h head the TFC 419D provided a ball flight on the higher end of the spectrum with a spin ratio just below mid for this reviewer. Without a doubt the high torque rating and high balance point play a role here. While it will come down to fitting (and the Tour 65 and Tour 85 are also options) the TFC 419D is definitely different compared to what we have seen in the i25 and G25 before it. It holds up well enough and does exactly what it is intended to do, but it provides a feel that will be pretty different for some. Time spent with the SF-Tec G30 driver showed that it is definitely an improvement on its G-series predecessors both aesthetically and from a performance standpoint. It is arguably the most aesthetically pleasing driver PING has released in some time and that is even with the Turbulators. Those Turbulators however did prove to do what they say with the increase in ball and club speed through the zone. As mentioned earlier, the amount will vary for the user, but testing did show an increase compared to the rest of the G-series drivers. In all, the G30 SF-Tec provides a launch, spin, and forgiveness package mixed with a draw bias that is well done enough that it should appeal to a large margin of golfers should they just give it a chance. 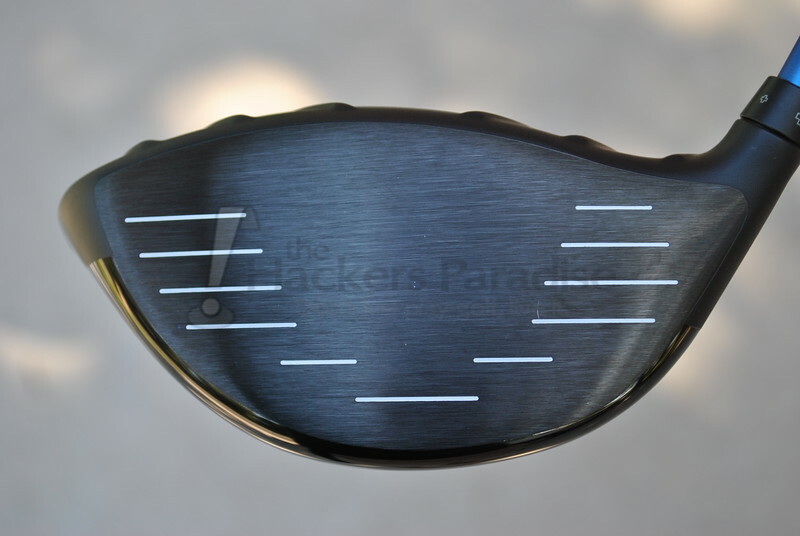 Draw bias does have a negative connotation to it for some golfers who don’t want to be seen as needing such a thing, but the fact is it could benefit many if they would let it, and there might not be another driver where it has been done as well/sleekly as the SF-Tec. The G30 SF-Tec driver has a price tag of $349.99. 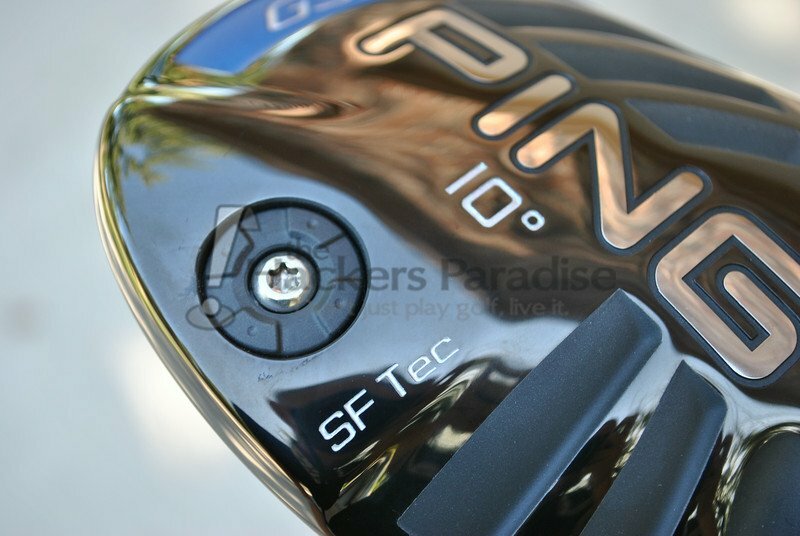 More information on the entire G30 line as well as the SF-Tec driver can be found at www.PING.com. Very thorough review. It aligns with my thoughts as well. AWESOME review James. I love this club. 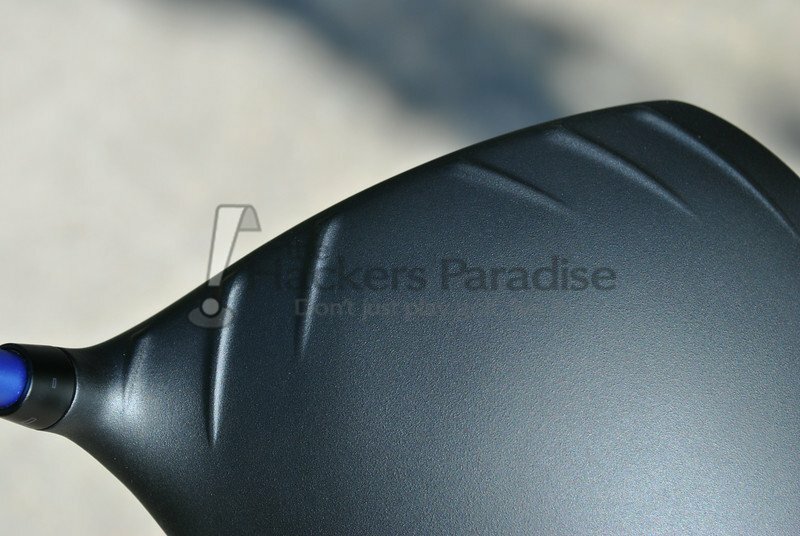 If I was in the market for a new driver, this one would be in the bag. Great writeup, JMan. I love what Ping has done with this line. It’s really helped my game, very easy to hit and goes long can hit easy high draws. Very complete and accurate review. 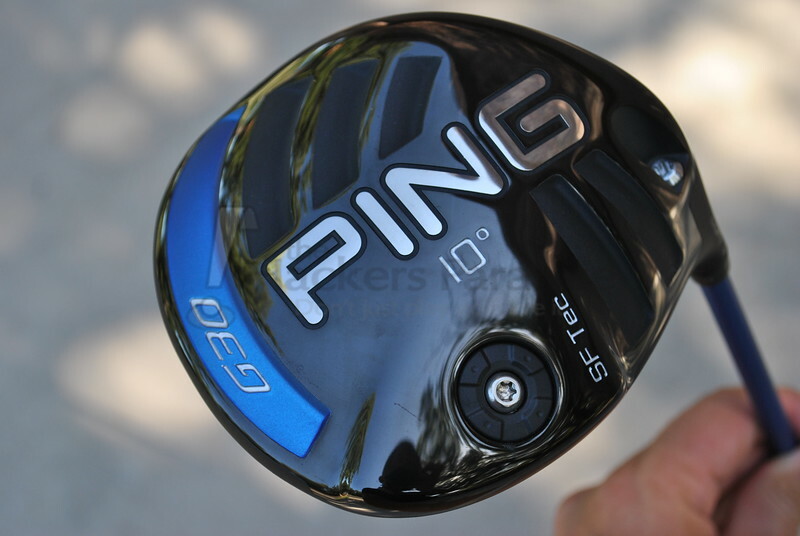 Having just purchased this driver, I saw an immediate 10-15 yrs on my drives and couldn’t wait for PING to come out with an updated version of the old K-15. It does what it claims to do. Great club! There was no mention of adjusting the weight. Can be changed? 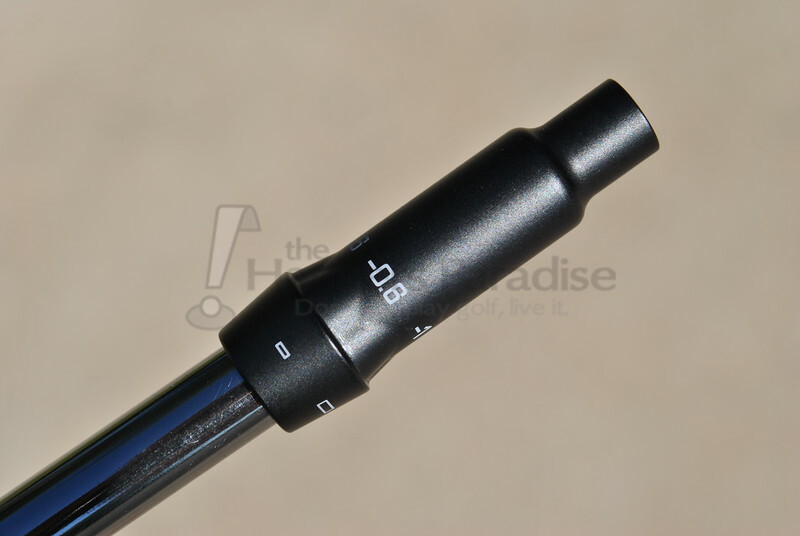 Swopped the SF Tec 10 degree head onto my reg stock shaft today, instead of 10.5 degree LST head!. Dramatic improvement . I was able to hit it long and straight instead of mostly fading it high and right into the rough. It does seem to launch high off the top half of centre face and I shall be countering this next time by using a lower type tee, when I hope that totally centre face hits will take off lower and go even further. Good review!. I was wondering what your thoughts are. 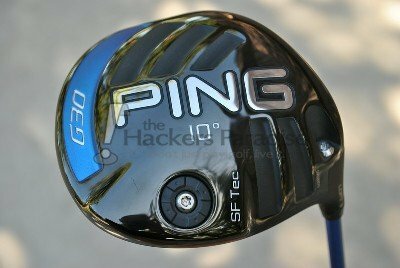 Arent you better off buying the standard G and working on adjustments in swing etc to get a straight shot or otherwise just going with an SF tec (which I tried and it seems to work)? 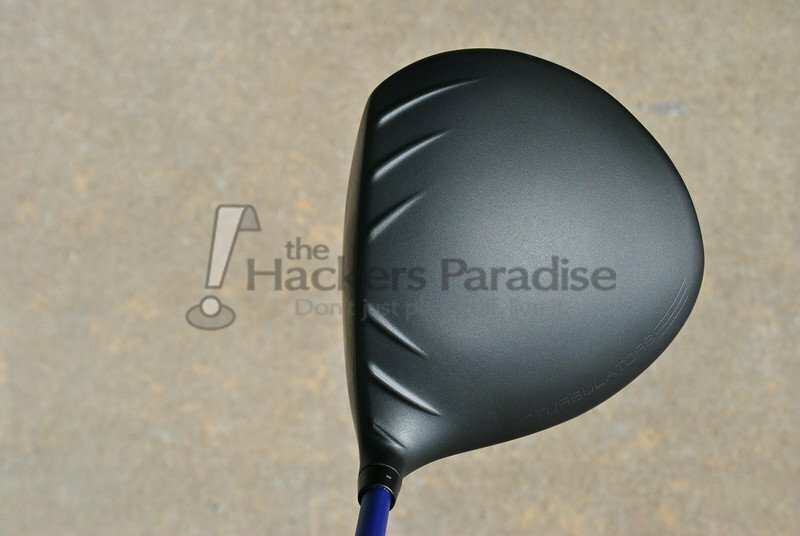 There must be negatives in buying a specific driver such as this?